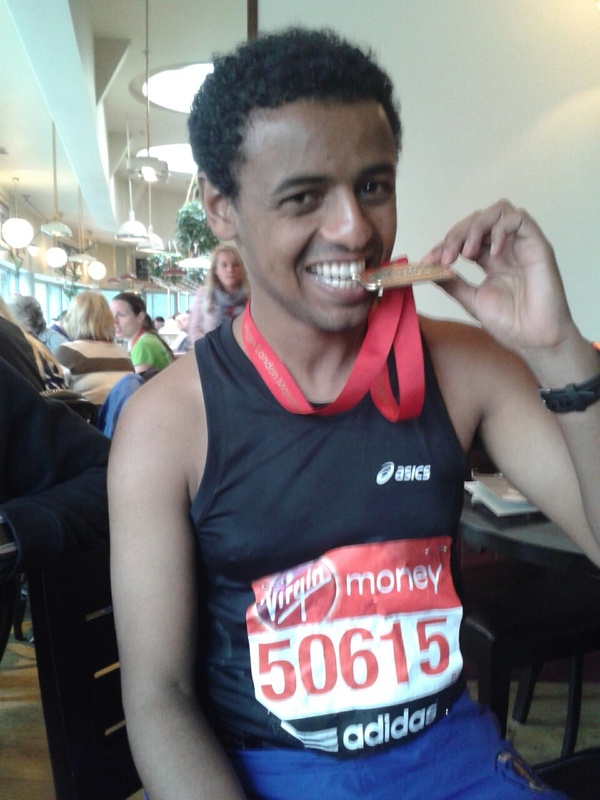 Two Eritrean athletes graced Virgin London Marathon 2013 – Yared Asmerom and Emmanuel Soquar, both did Eritrea proud! The two compatriots were not exactly running side by side as their missions, though similar, were not the same? Emmanuel ran his first ever marathon and completed the race, with a smile, despite hamstring injuries. He is supporting ERA-UK’s project for children with Autism and Down’s syndrome in Eritrea. So far, he has raised £2173.75 REMARKABLE. ERA-UK is grateful for your cheers at the Marathon and your kind donations.